A bold but simple bouquet, inspired by our bride's contemporary spin on a traditional Korean hanbok. An altar installation of smokebush lined the lip of this hilltop platform overlooking Carmel Valley. We suspended this wreath of lace cap hydrangea, plum foliage, snowberry, and grapevine for this Downtown Los Angeles wedding. An intimate ceremony in the oak grove. Event Design by Jenny Schneider Events and Laurie Arons Special Events. 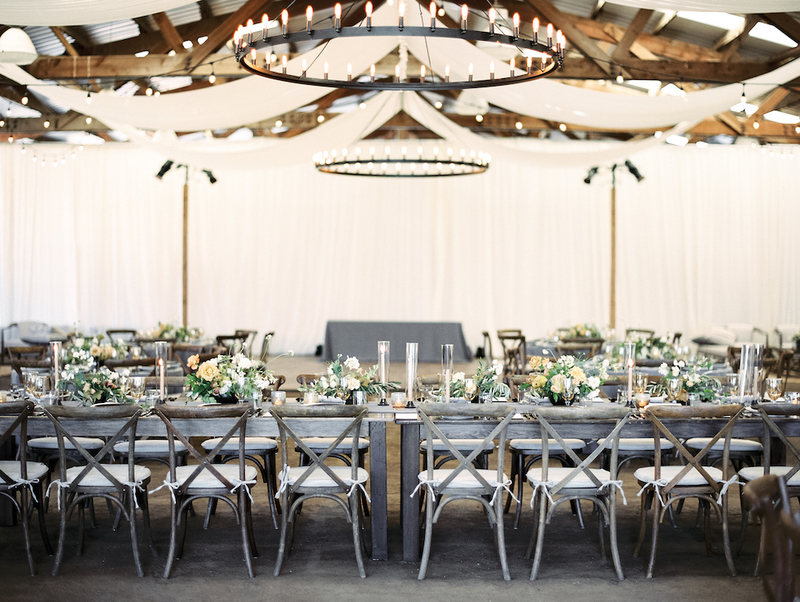 Golden Napa Valley light crawling across a magical al fresco tablescape set in a vineyard. We suggested this dining configuration so each guest had a view of the valley beyond. Environment, atmosphere, and experiential design are everything. Event design by Lambert Floral Studio. A guest's point-of-view of the tablescape; how lovely to frame conversation and courses with candlelight and a compote of midsummer blooms. 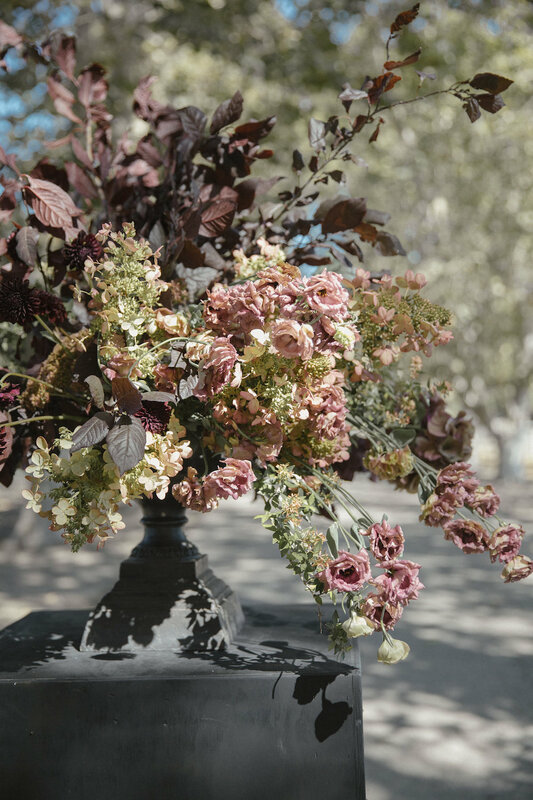 A ceremony urn overflowing with flowers, catching dappled light in all the right ways. Event Design by Carly Rae Weddings. I lovingly refer to this ceremony set up as chuppah a la Jumanji. Event Design by Bash Please. October. That magical month where San Francisco glows in golden tones and summer suddenly becomes fall. Midnight blue velvet never hurt nobody. 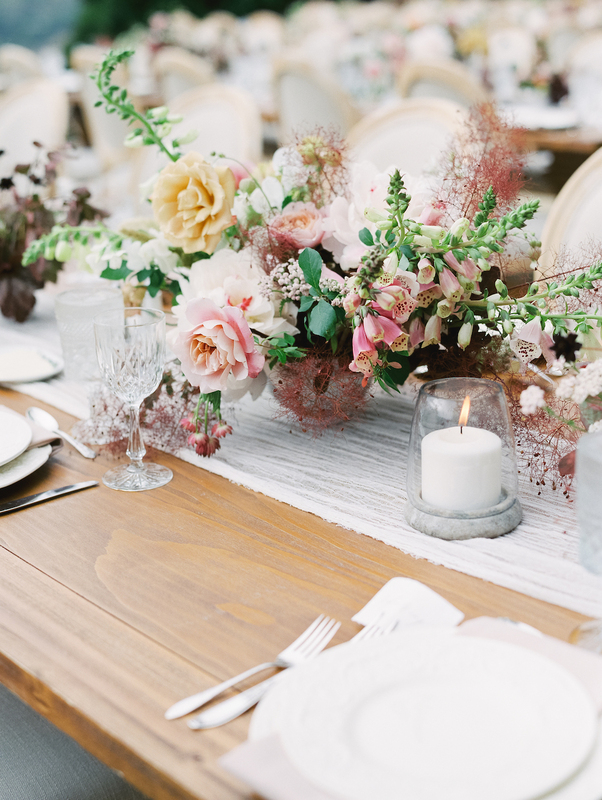 The head banquet table at this summer barn wedding in Marin County. Event Design by Jenny Schneider Events. A sleek tabletop calls for finessed flowers with gestural and lyrical movement. 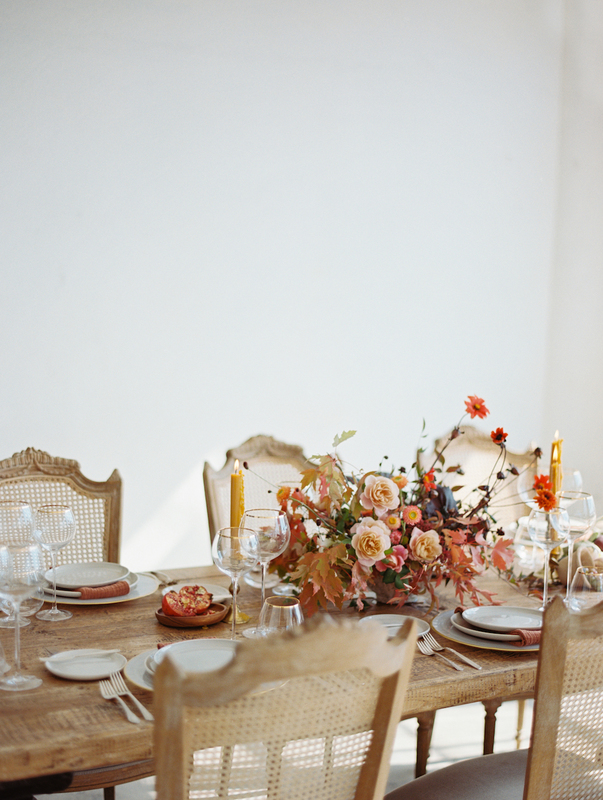 Paprika, turmeric, and cayenne hues pair warmly with a worn and rugged table. Photo by Brumley & Wells. No other season gives us the opportunity to play with color and texture quite like Autumn. Photo by Birds of a Feather. Event Design by Jack & Ginger Studios. Our take on a cornucopia - this one with 'Cafe au Lait' dinnerplate dahlias at the height of summer. Event Design by Laurie Arons Special Events. Our architect groom built this arbor, framing the iconic California coast at Sea Ranch. Event Design by DALD Events. A fine display of late spring's finest flowers - 'Koko Loko' garden roses, murky hellebores, heuchera leaves, and dancerly sweet peas. Event Design by Natalie Choi Events. Dogwood, clematis, and ranunculus in blushed shades. Fresh white, rich burgundy, and all the romantic tones in between in this bouquet. 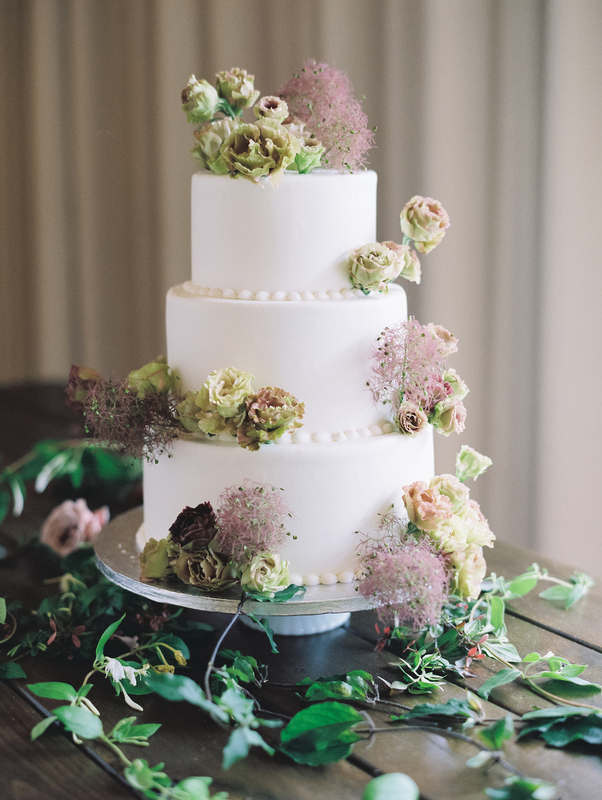 Ingredients for this elopement : crazy love, coastal breeze, and a windswept bouquet. Kenny & Becky were married in the Rodin gallery at San Francisco's Legion of Honor Museum. Photo by Max & Friends. 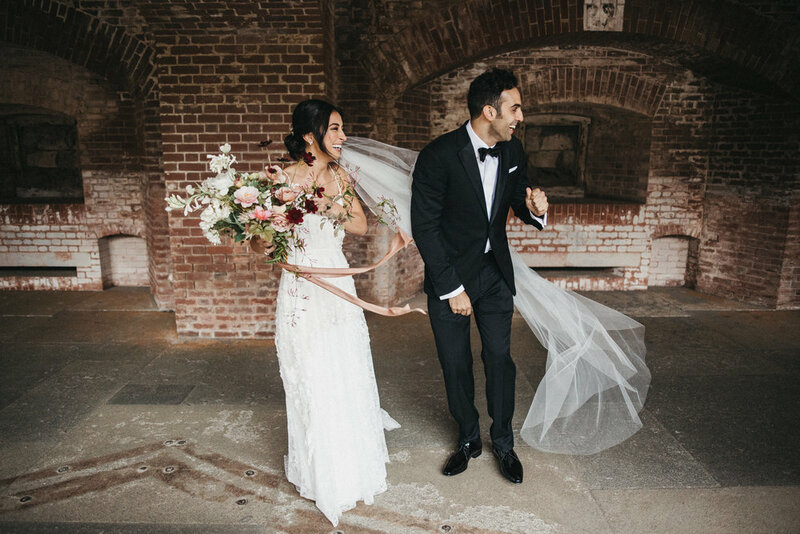 Melanie & Dylan paraded through the streets of Santa Barbara after their wedding ceremony. A cake is worth a thousand calories.